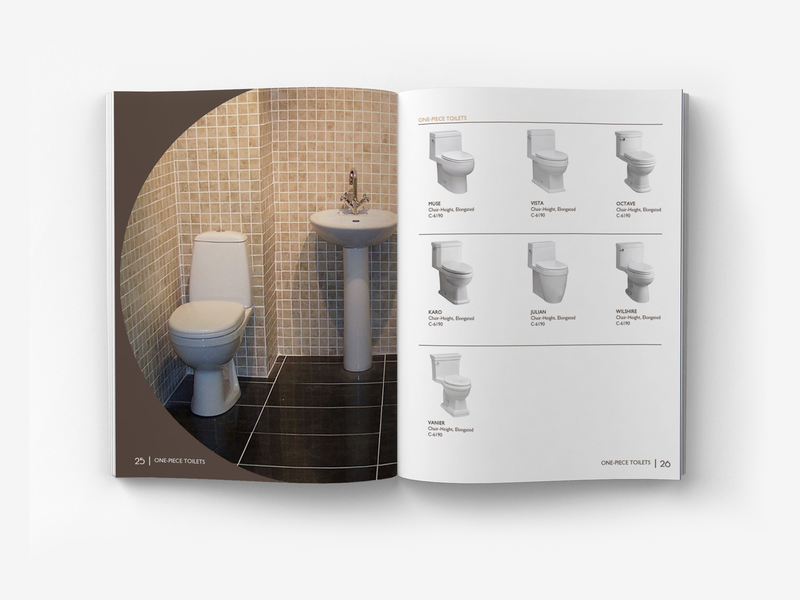 For over twenty years, ICERA has been increasing market share in the one-piece toilet space. 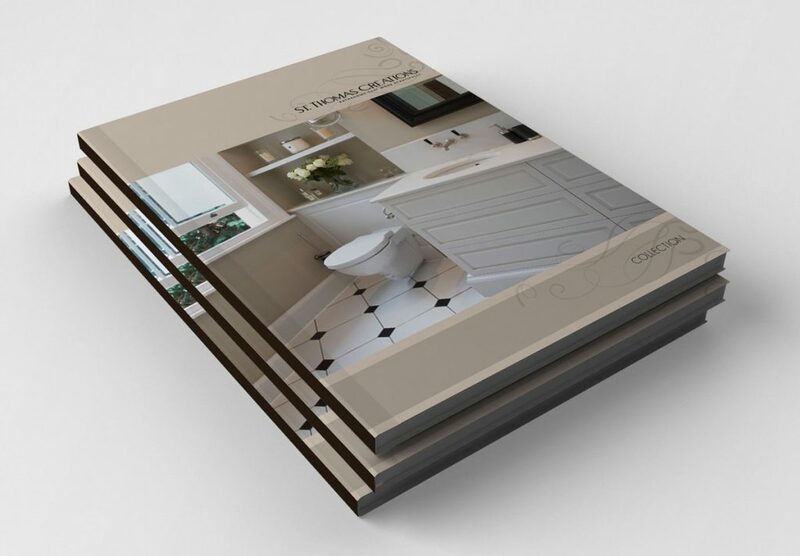 The company designs and manufactures its own custom toilets while also designing bathroom lavatories. ICERA focuses on high efficiency products in order to reduce water usage and increase appeal, as customers continue to move towards products that are more environmentally friendly. 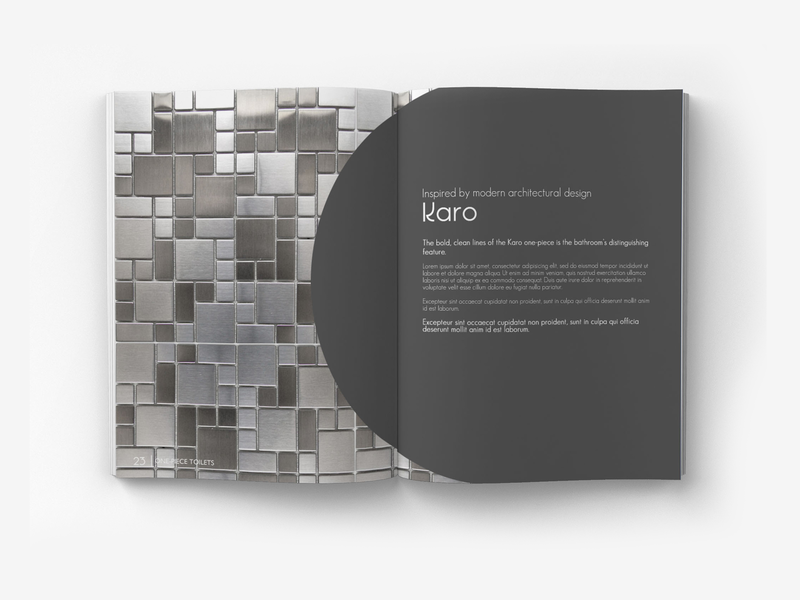 Our focus was to develop a design concept for each of ICERA’s premier product lines. 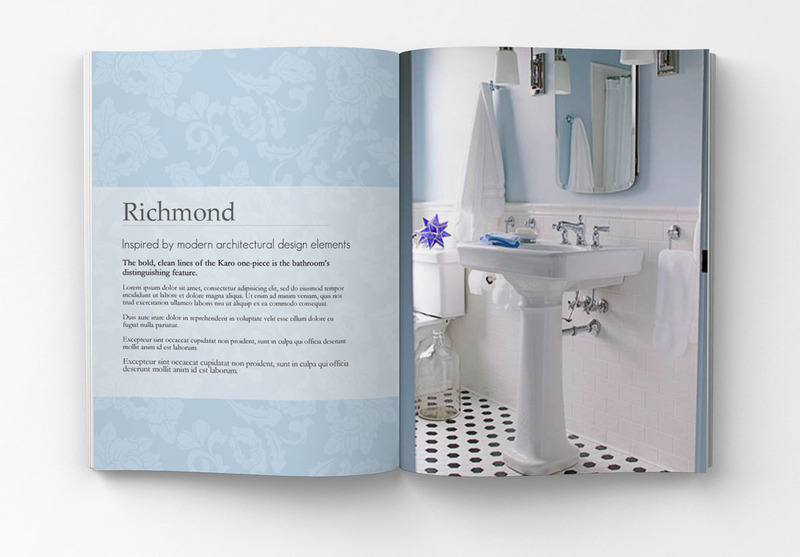 Since the company has both modern and more traditional designs, we were able to use styles and concepts that speak to a specific period in time. 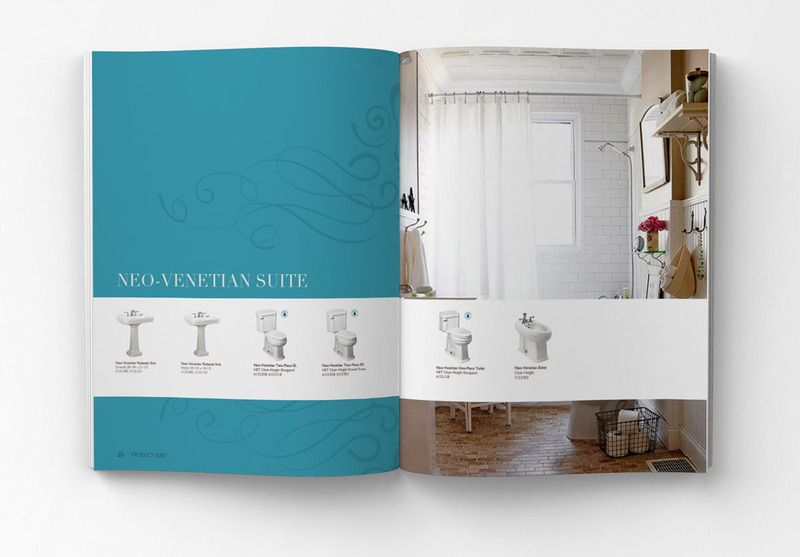 The branding features more colorful and sleek looks for the modern products while darker colors and curvier lines have been chosen for the company’s more traditional models such as the St. Thomas Creations line. 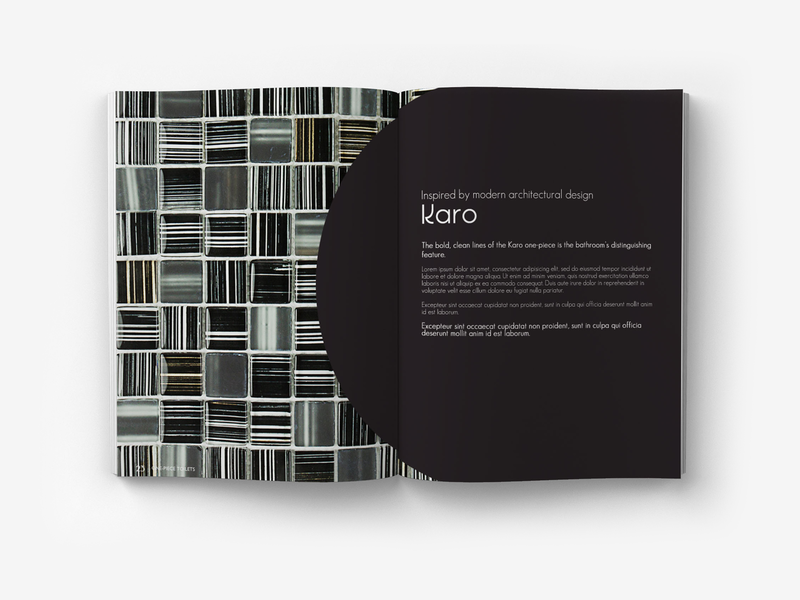 It was important to match the lines and the emotion that each product evokes. 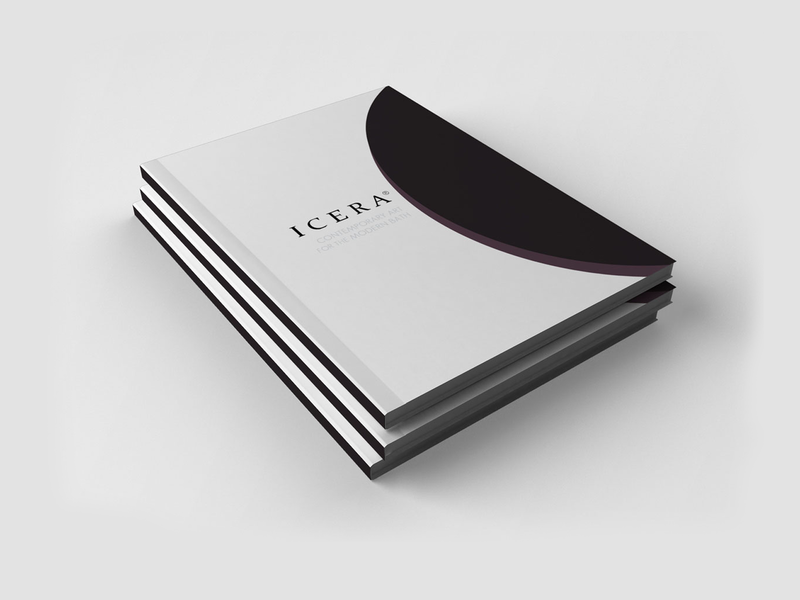 For the ICERA line of products, a design concept was developed underscoring the elegance and simplicity of the model. 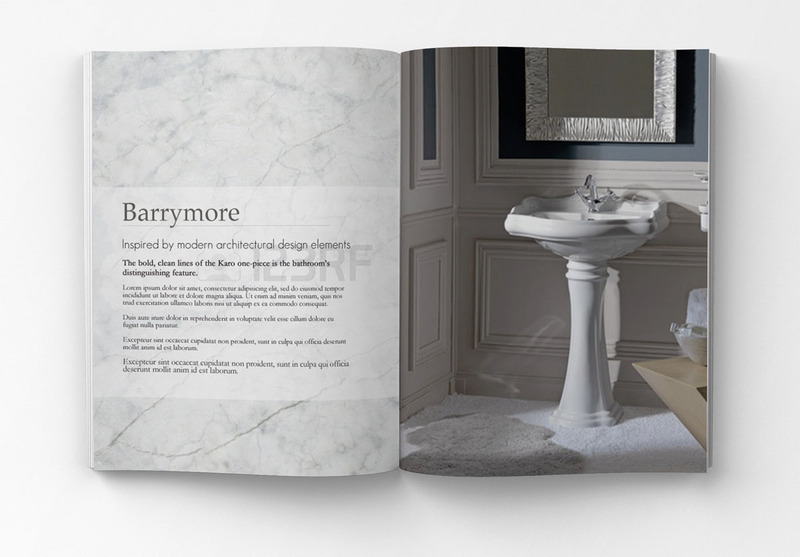 From the details of the backsplash to the lines of each product, we were able to create a modern magazine-style layout compared with a typical catalog of items. We took a different approach with the St. Thomas Creations line products. 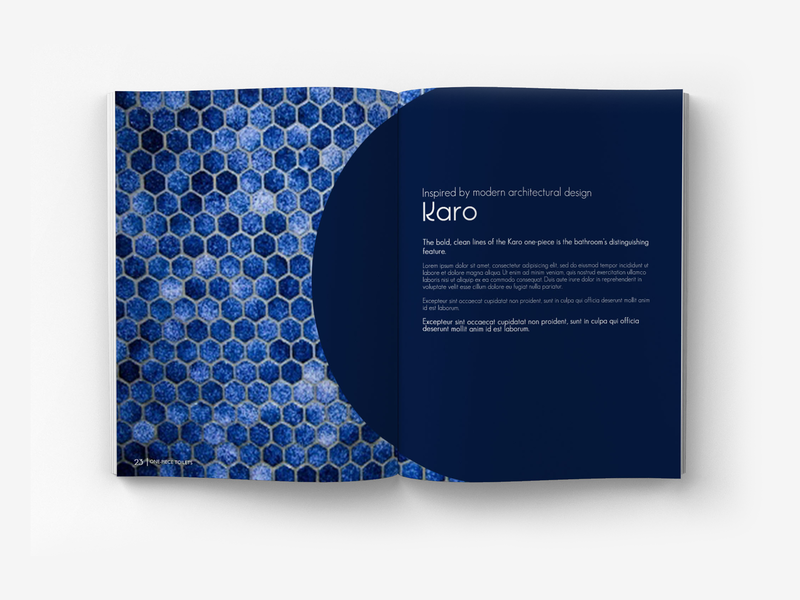 Each of the unique products opens with a specific introduction page that sets the tone for that section of the catalog. 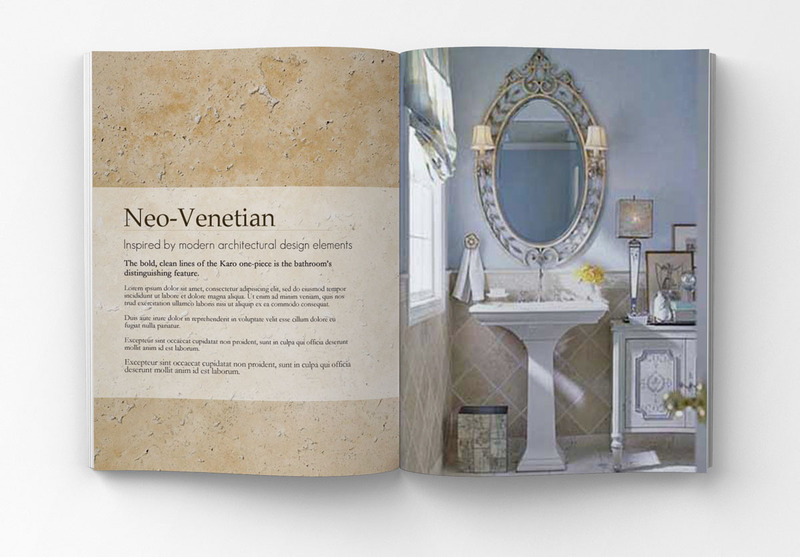 For example, the Neo-Venetian, as well as the Richmond product line, is shown in an environment meant to evoke an emotional response along with copy to support the model.